Daydreams of Quilts: My 100th Blog Post! Wow! This is my 100th blog post! I wish I had major exciting things to say. I did finish this little "Lorax" quilt so that's kind of exciting. I actually have a finish to show you. :) I sewed this quilt "free style" with no plan but to use up scraps from a larger quilt I had made for my son's bed. It's a baby quilt and I've listed it in my Etsy shop. I love 9 patches! And I tried to fussy cut the Lorax on red fabric for the centre squares in the log cabin inspired blocks up the middle of the quilt. 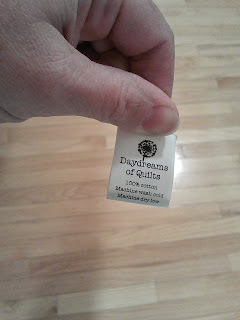 I was very excited to receive my quilt labels in the mail today from Jennifer's Jewels. Squee! I feel so legit now. Can't wait to sew them into garments and onto quilts. I still have a bit of Lorax scraps left. I will mail them to the first person who tells me they want them so leave a comment if you do. There is 90 grams of fabric mostly in 1 1/2 and 2 1/2 inch strips. Some slightly larger squares too. 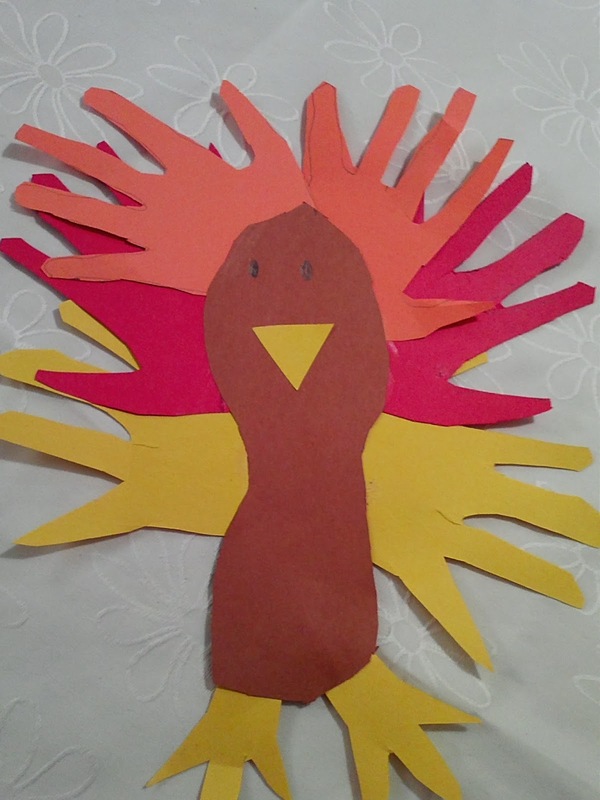 Happy Thanksgiving if I don't get a chance to blog again before then! I am linking up this finished baby quilt to TGIFF. You can find the linky here or click the TGIFF button in my button bar.